Escape to New Zealand or combination of South Pacific destinations for your Honeymoon or Romantic Getaway. 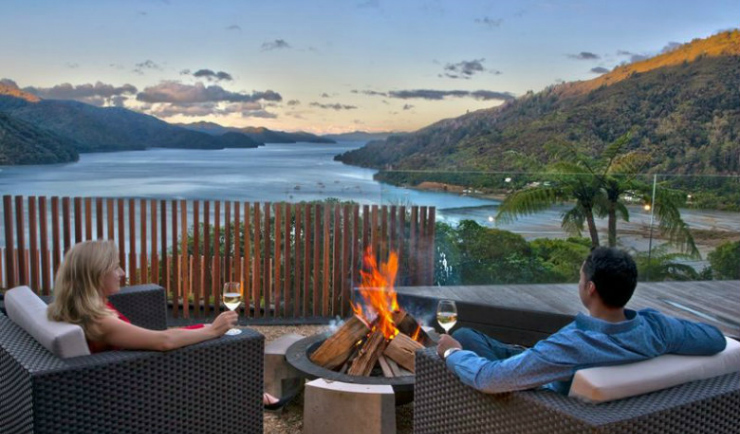 We have a select range of stylish and exclusive New Zealand Honeymoon & Romantic Getaway Packages, where you’ll experience the essence of New Zealand and enjoy a fabulous range of luxury lodge or boutique hotel accommodation. We also specialize in tailored New Zealand honeymoons, individually designed to suit the needs of each client - all of which include gorgeous accommodation, romantic dinners for two and lots of indulgence! If you would like to combine other destinations such as Australia, Tahiti, Fiji with your New Zealand honeymoon, just look for the Multiple Country icon. Our Exclusive icon denotes vacations of distinction; we consider these to include our finest experiences and believe them to be unrivalled in every sense. We'll ensure all your needs are taken care of, leaving you plenty of time to enjoy together during your romantic New Zealand or South Pacific honeymoon. Still not sure about where to go, what to do and how much to spend on your honeymoon? We answer all of these questions and more in our South Pacific honeymoon blog.